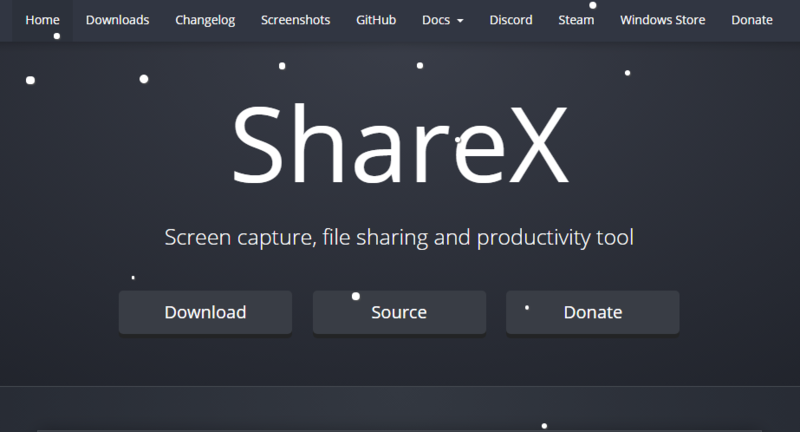 Today i want to share this super useful open source program that i´ve been using. At same time i will show you how to use it in an effectively way. 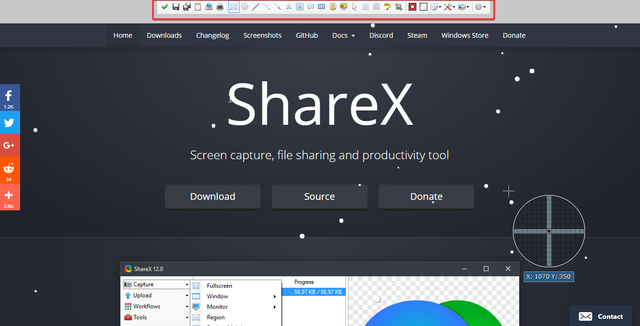 I´m talking about ShareX, an amazing Screen capture, file sharing and productivity tool. 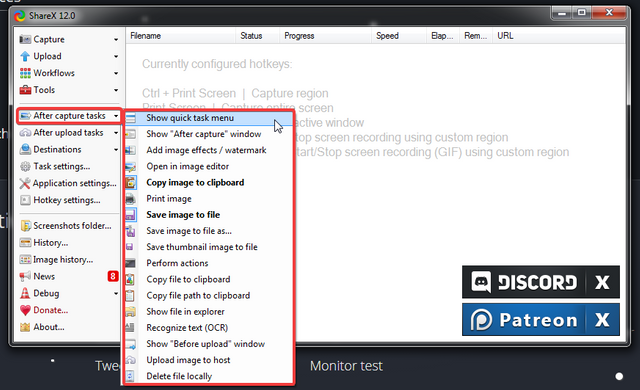 This program allow you to easily share images and screenshots with others through editable hotkeys. I reduced drasticaly the time spent in my graphic presentations with this program. Download, install and proceed with all the actualizations needed. 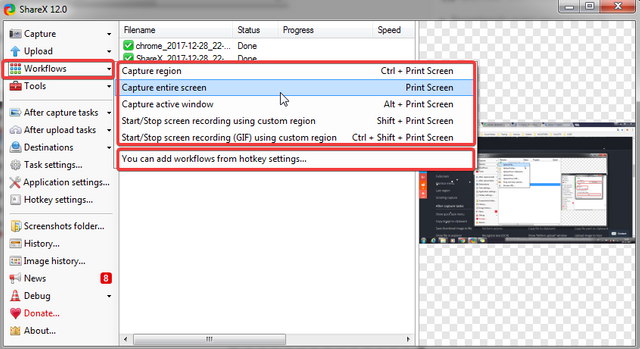 Here you can find all the features you need, not only can you do a fullscreen capture, as you can capture a selected window or region in the screen, here you can also screen recording to video or Gif and even auto capture, etc. 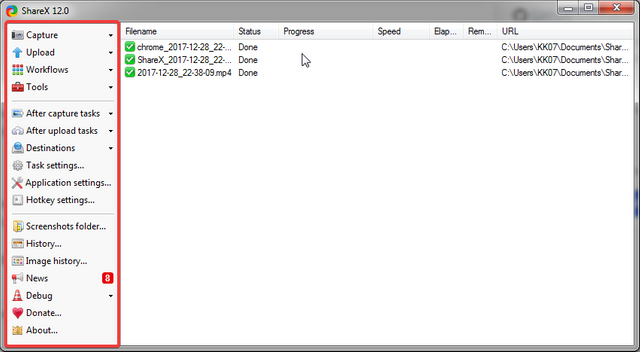 With auto capture you can take screenshots on a regular interval like a time lapse, is pretty cool. 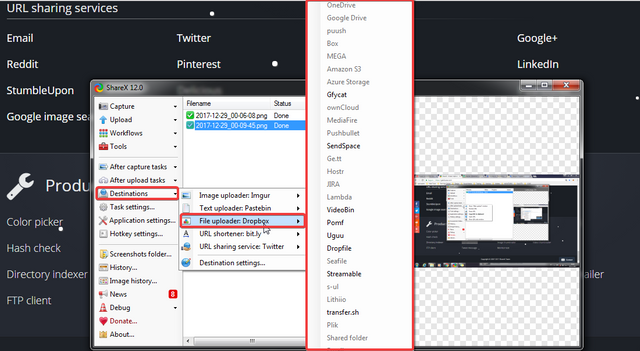 When you capture or record something, it will go to screenshots folder that you can access in the left side menu, or just access those files directly in the work environment. 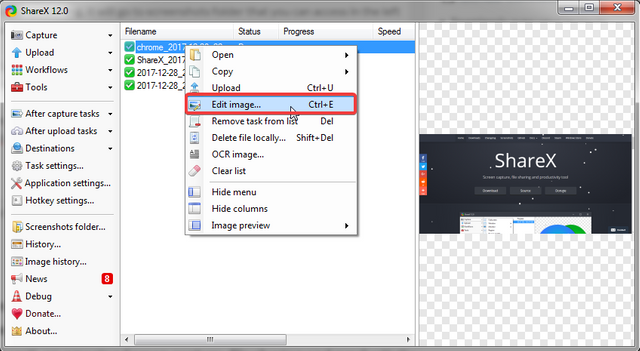 You can edit any capture or recording immediately without leaving the program by clicking the right button in the mouse and choose the option "Edit image"
Pretty easy right? You should try! The capture area, full screen or some particular region. 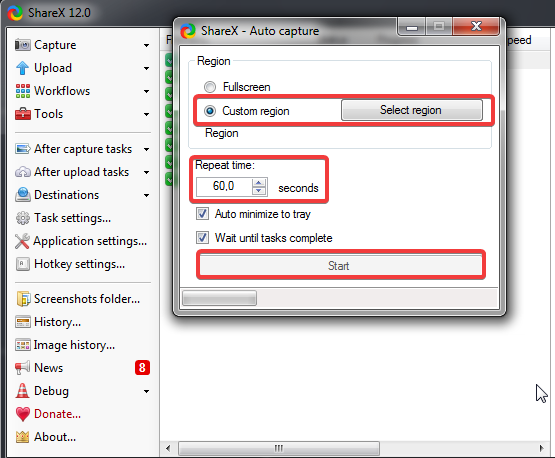 The space time between captures, and you are ready to go, press start and let the program do the rest. 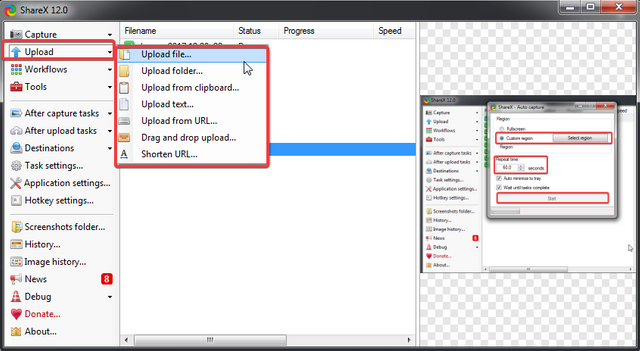 Here you can select a file from your computer and upload directly into the program for editing purposes, or just drag and drop. 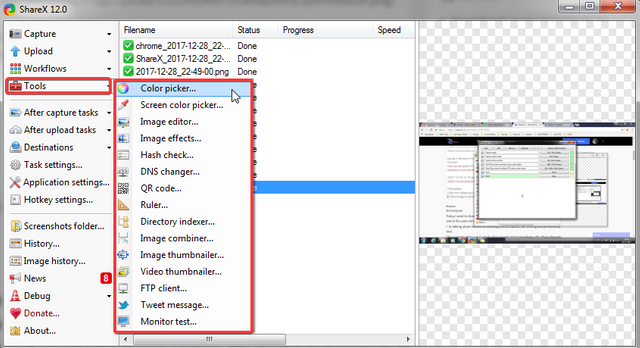 And of course, Image combiner, this one is super useful for my presentations, you select the number of image you want and this option combine all the images. We are done with the first menu tab. 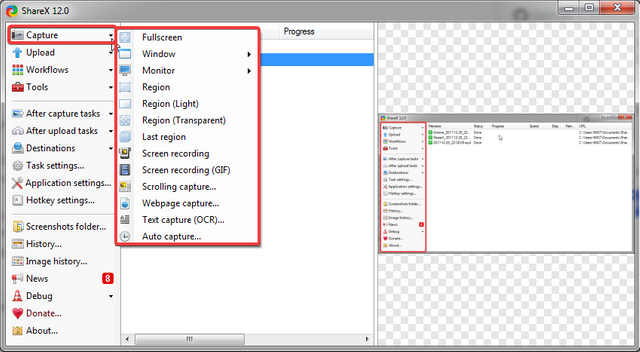 The remaining menus are comprised of a bunch of toggles that determine what happens directly after you make a screenshot capture. 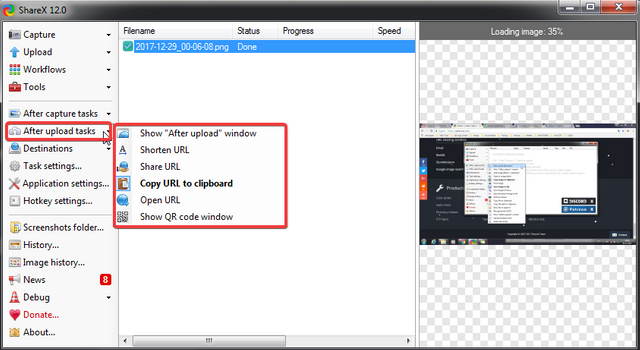 Here you can set different destinations for different files based on the file type, such as setting Dropbox for miscellaneous files, Imgur for images while setting Pastebin for text. Hope this tutorial help you with the bases to use and to abuse of all these functionalities and to start saving time in many of your works. This is indeed a very useful product. I like products which are multi functional, and I guess now I will have to download this one to reduce my time spent on different applications. @manishmike10, oh ok i understand, unfortunately i didn t find those contributions when i made a research before making the tutorial..